Is your carpet looking dingy and in need of a professional carpet cleaning service in Utica, Michigan? 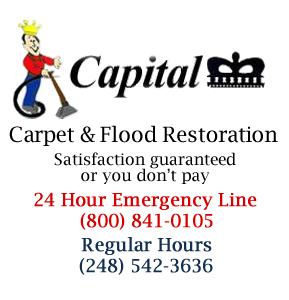 Capital Carpet is an experienced carpet cleaning company serving the Utica, MI area. We specialize in carpet cleaning and removing tough stains and pet odors from carpeting for both residential and commercial customers. To reach a carpet cleaning expert, call Capital Carpet today to get pricing or find out our carpet cleaning specials. We have been around the Utica, Michigan area for over 36 years and have a team of highly skilled employees. You can expect quality and value from Capital Carpet's area rug cleaning service and steam carpet cleaning. Our team will even assist in moving furniture before the cleaning process. We make use of the latest chemical advancements so your carpet will be clean and dry in no time, and also completely safe for your home or business. Take advantage of our unbelievable deals! For a limited time we are offering a whole house special including the adjoining hallway between average sized rooms up to 200 square feet. Restrictions may apply and steps are an additional fee. Capital Carpet also guarantees clean-smelling results from the carpet fresh scent service that we offer with our carpet cleaning services. 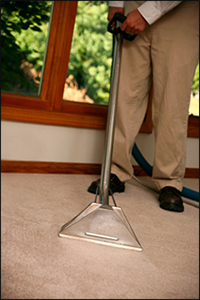 Our carpet cleaning technician's will pre-treat stains, spots, and corners by hand for the best care. Scotchguard is available for extra stain protection. Is your carpet, area rug, Oriental rug or upholstered furniture looking dull and lifeless? Regular cleaning can maintain the overall look of your home, but a deep clean by professionals breathes new life into your most treasured pieces and gives your carpet that fresh look it had when it was first installed. Call Capital Carpet today for carpet cleaning in Utica MI. 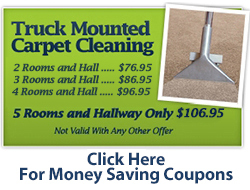 Capital Carpet is the carpet cleaning service you can trust in Utica, MI. We will make your carpet look like new with professional spot and stain removal, pet odor removal, and area rug cleaning that will dry quickly and impress.